On ANZAC Day, Peter Wicks takes a look at a terrific organisation that’s helping returned service personnel deal with post-traumatic stress and helps smooth their path back to civilian life. 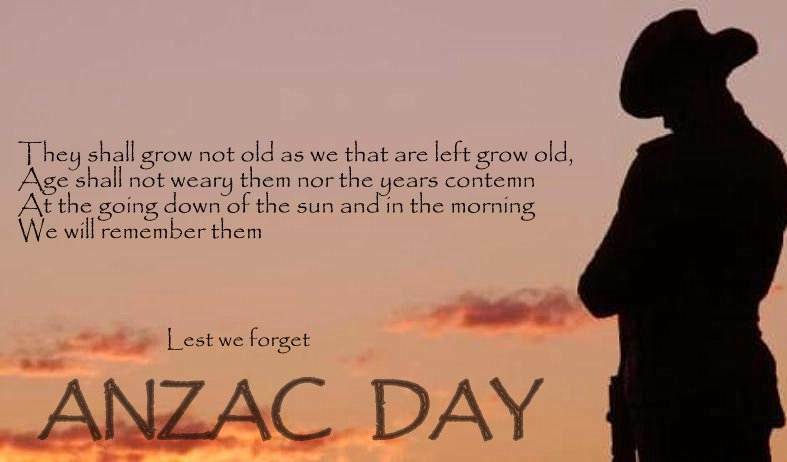 To some, I'm sure, it's just an excuse for a day off; for some, it is a reason to honour those who gave so much for our freedom; for some, it's a time to pay respects to fallen comrades; for some, it is a celebration of the Australian spirit. 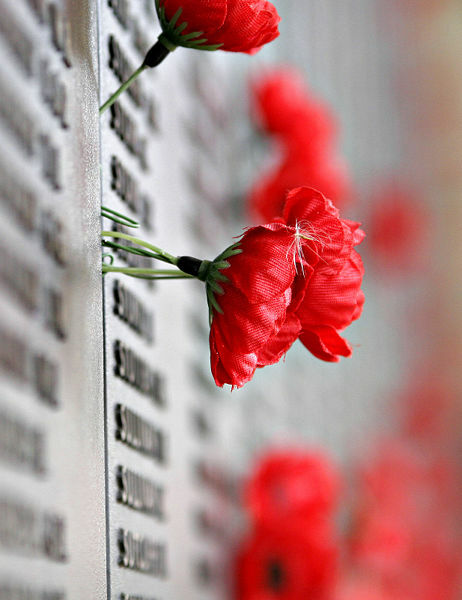 However you choose to spend your time on ANZAC Day ‒ be it at a march, at a dawn service, or watching the events in TV, or even just at home doing nothing ‒ I hope you spare a moment to consider the sacrifice our armed forces, past and present, make for us and be thankful for it. To me, this is the most important of the public holidays. It has nothing to do with the birthday of a head of state living in another country. It has nothing to do with the commercialism and consumerism of the religious holidays of Christmas and Easter. Instead it is all about pride, mateship, honour and sacrifice — things that embody the Aussie spirit. For some, however, ANZAC Day will be the hardest day of the year, as it will bring back memories that you or I can barely imagine. These are the men and women who suffer from post-traumatic stress — and unfortunately there are many of them. I should point out that it is not only war veterans that suffer from post-traumatic stress; it comes in different forms and can afflict anybody from any walk of life. It is a common condition with those in high stress jobs, such as the police and other emergency services. It is also common in nursing and in the care industry, however it can be brought on by any bad experience and affect someone for the rest of their lives. Some people witness an accident and that can cause it, some may have a bad experience in a hospital and suffer from it as a result — there are countless ways it can be brought on. Given that today is ANZAC Day, I wanted to talk today about a group that I came across recently that I believe provide a fantastic service to our returned troops and their families. 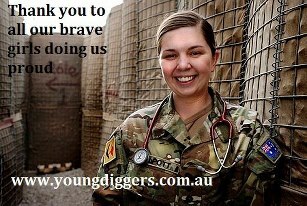 The Young Diggers are an organisation that have been around for about three-and-a-half years now. They provide many essential services to servicemen and women, and their families. In particular, I wanted to touch on the Dog Squad programme, which is designed to help returned troops who are suffering from severe post-traumatic stress. 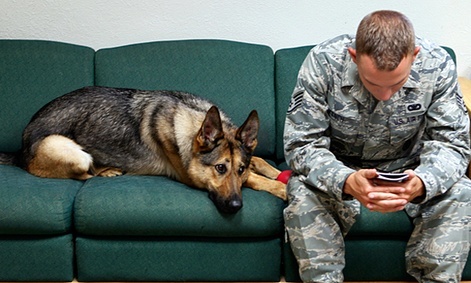 The Dog Squad places dogs with soldiers which have returned from duty suffering severe post-traumatic stress. Many of these returned troops have been suicidal and have shut themselves off from the outside world. Anyone who has ever owned a dog knows the unconditional loyalty and friendship that a dog provides; they are not called man’s best friend for nothing. 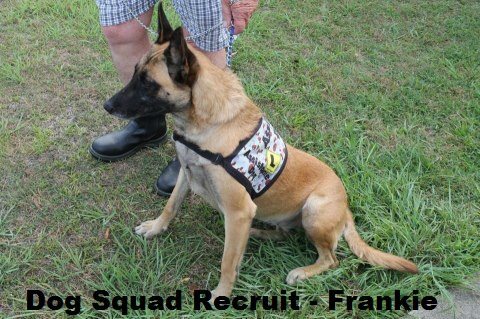 However, the dogs in the Dog Squad are no ordinary dogs — not in the slightest. The companion dogs are expertly trained to the highest level by experienced trainers. So highly trained are these dogs that they are actually classed as “assistance animals”, meaning that they have as much access as a guide dog. The dogs used are not bred for the role and do not come from pet stores or breeders. The dogs used in the Dog Squad are sourced from RSPCA pounds and animal rescue centres, which means they themselves often come from a traumatic background and by becoming a part of the programme are being saved from a fairly grim future as most would have been put down. When you consider that approximately 20 per cent of troops returning from active duty in Afghanistan will suffer from post-traumatic stress at some level, it is easy to see just how vital this programme is. The Dog Squad is not the only service that Young Diggers provide — far from it. Another service offered is help seeking employment. Young Diggers run programmes that assist returned soldiers find employment and can assist with training programmes that will help prepare soldiers for regular work, both mentally and with skills training. One of the reasons that Young Diggers play such an important role is that for those in the armed forces it is an organisation that they can feel comfortable with. Men and women from the armed services can deal with someone who speaks at their level and completely understand their situation, because they have walked in the same boots. Young Diggers are a Not-For-Profit organisation that, by their own wishes, receive absolutely no government funding or grants. All of the organisations activities are funded by donations received by either individuals or companies that provide sponsorship. They have assisted over 7,000 of our returned troops and their families across the country, something that their president, John Jarrett, said he was immensely proud of when I spoke to him yesterday — and rightly so. Before I go, Young Diggers are looking for a 20-seater bus with wheelchair access for their Queensland office. If anybody can assist with one, they would greatly appreciate it; they can organise for repair work on the body or motor if required. If you feel you can help, just contact them via their website or the phone numbers listed on it and tell them Wixxy sent you.